Trying to stay healthy but still indulge in the flavors of the season?! 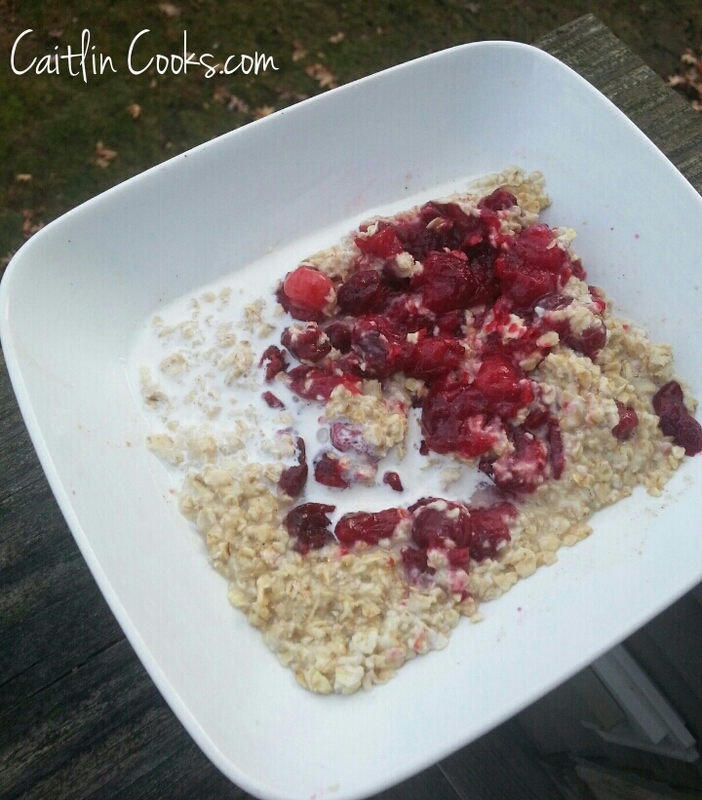 Here’s a delicious, easy Thanksgiving breakfast that will keep you full and provide energy. Place the cranberries in a pan on medium high. Add the honey, cinnamon and ginger. Bring to a subtle boil and simmer until cranberries pop. Stir cranberries into the oatmeal and top with a splash of vanilla almond milk.